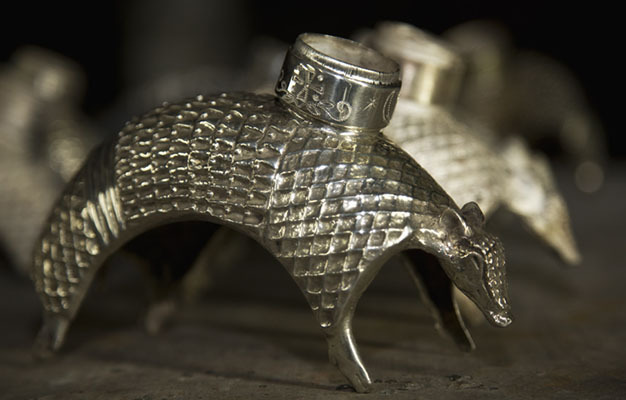 Dos Armadillos Tequila | .950 STERLING SILVER BOTTLE. 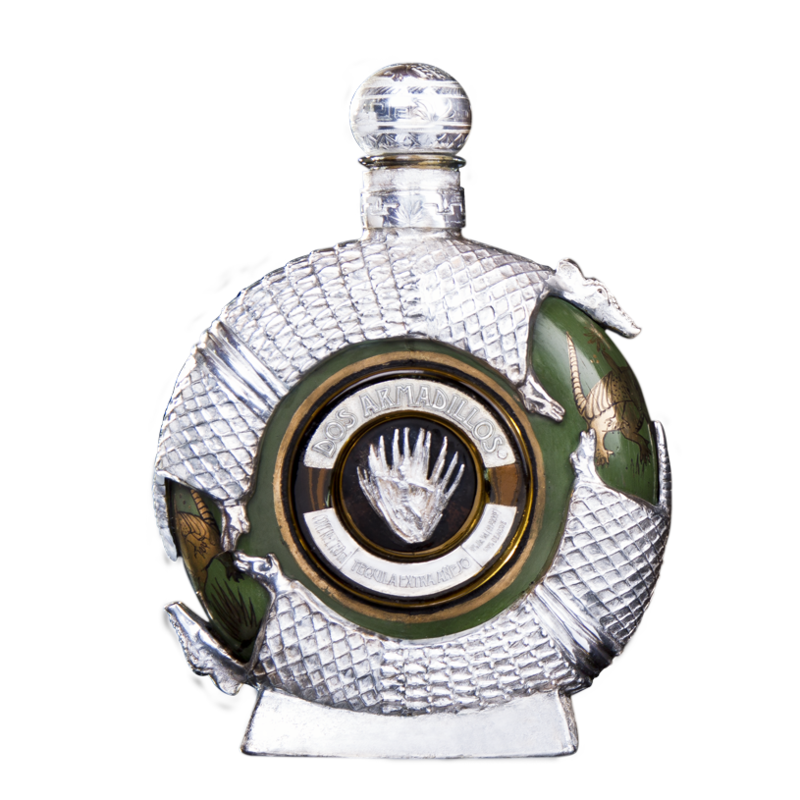 Luxury bottles 1000 years in the making. Attaching the glass bottle and armor plate. 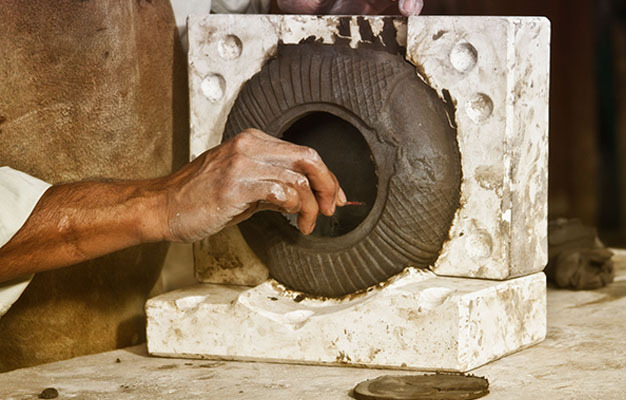 Each glass bottle is paired with an armor plate, and they are bound together with stucco (a paste of lime and sand, initially soft and malleable which gradually hardens. 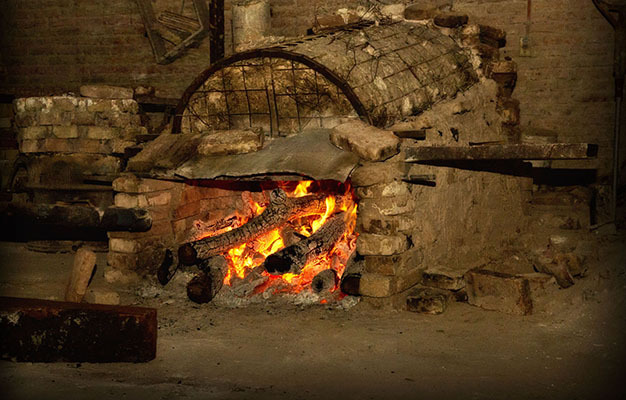 Stucco was used by the Maya and Aztecs.) Once assembled, you now have a clay bottle. Then, the clay is burnished. 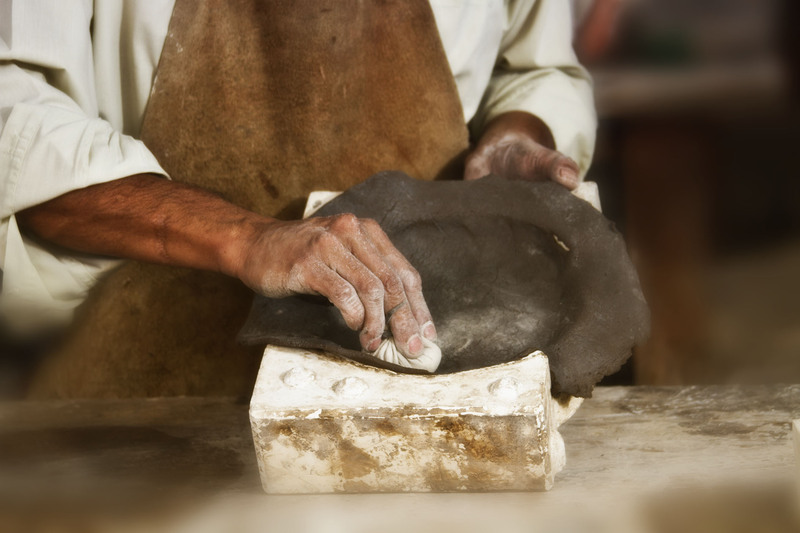 Burnishing is rubbing the clay with a flat, hard, smooth piece of quartz, which seals the pores and sets the colors. 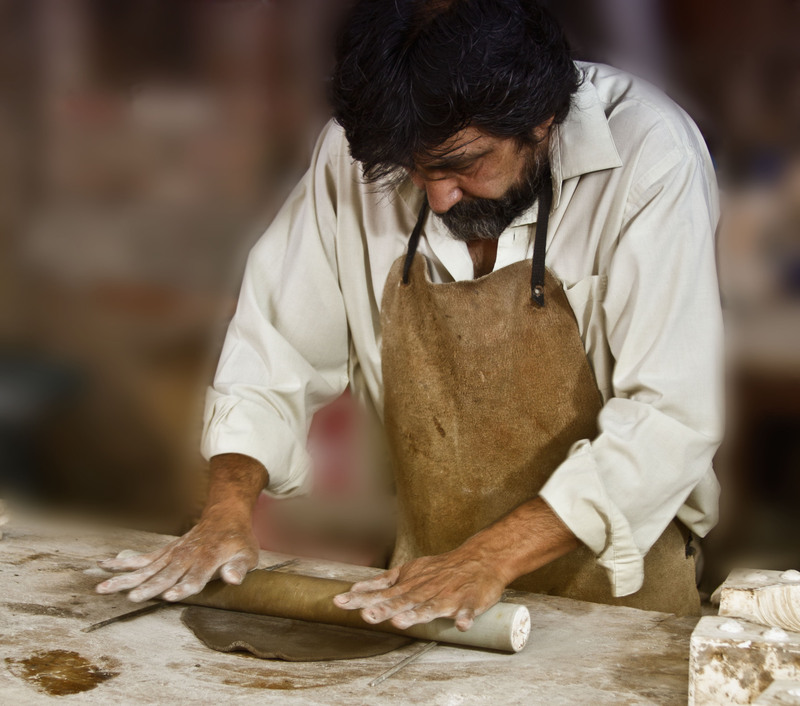 The technique of burnishing clay has been used since before the Spanish arrived in Mexico. Burnishing evens out the exterior surface, not only giving it a beautiful luster, but also making it somewhat waterproof. Mounting the .950 sterling silver armor plate on the bottle. Finally, the silver armor plate is mounted on the clay bottle. 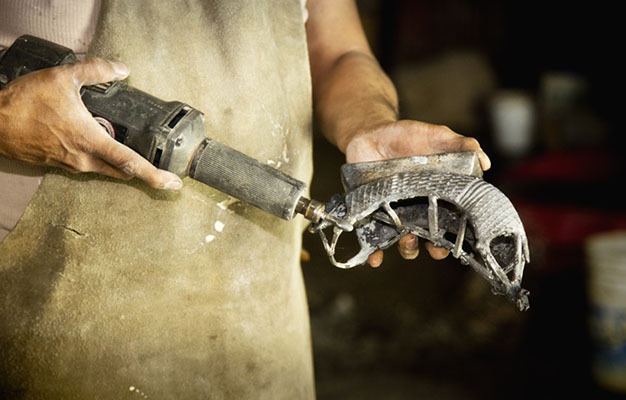 The silver armor plate is made with a “lost wax” casting technique. It is 2.5mm to 3mm thick. 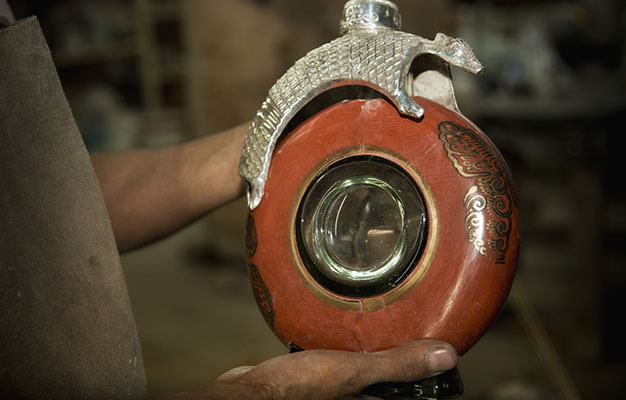 The center of each bottle boasts a silver sculpture created by Carlos Bustos. The silver bottle weighs 8.00 lbs. 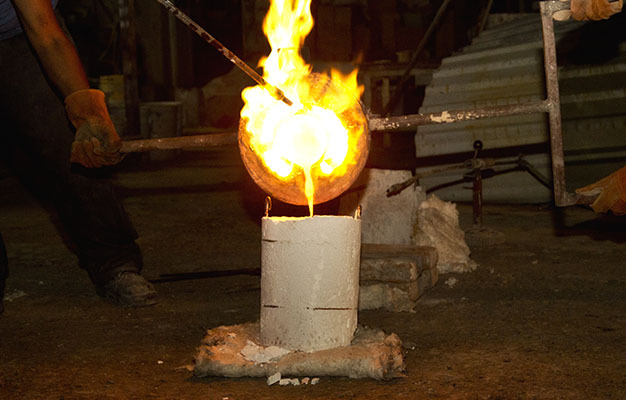 Per international standards on precious metals, silver is graded based on the parts per 1000 of pure silver in an alloy. The technical term for purity is “millesimal fineness,” expressed as a 3-digit number. The grades of purity accepted in international silver markets are 999, 950, 925 and 800.